The medical marijuana industry is an opportunity to invest in and increase much needed resources to education. This from Doug Halsall, CEO, Advanced Integrated Systems, (AIS), who indicated that this is why he is in full support of the development of the local medical marijuana industry. 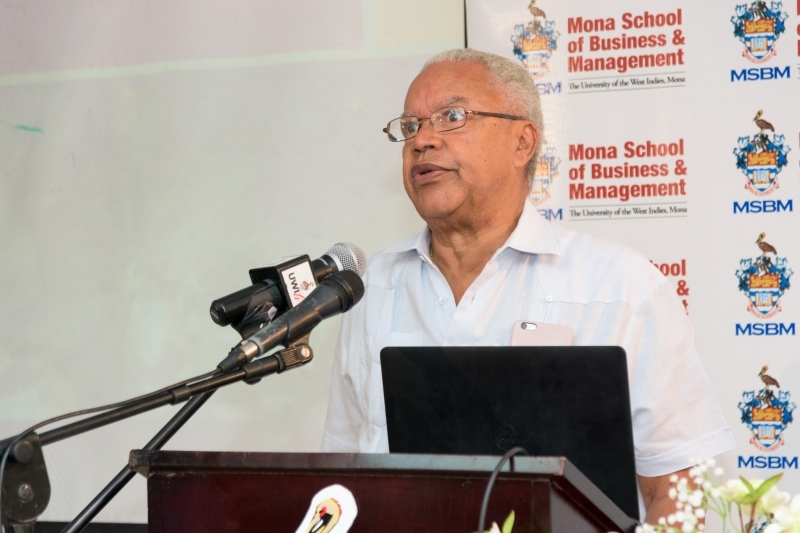 Mr. Halsall was addressing participants on Wednesday, August 30, 2017 at the 2nd annual public forum hosted by the Mona School of Business and Management at the University of the West Indies, Mona, under the theme “The Business of Medicinal Marijuana: Profit or Loss?”. “I believe that unless education is treated as an investment rather than an expense, as capital rather than recurrent with very bold return on investment (ROI) goals, Jamaica will remain a third world country. If we continue to spend as little as US$150 per capita on secondary education we are not going to get there,” explained Halsall. “The whole marijuana business is just the beginning of the benefit chain that Jamaica can have and it’s really a shame that at this stage of the development of medical marijuana, Jamaica is so far behind,” added Halsall. AIS has been supplying Jamaica with health technology for the last 20 years by using its knowledge of the market to provide solutions to consistently improve business processes and is known for promoting innovation and development of the health sector.